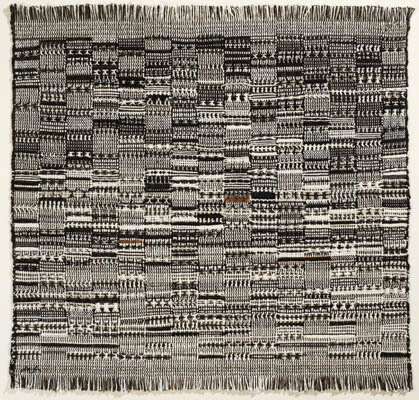 Anni Albers was a wonderful textiles artist from Germany. She also painted, printed and designed jewellery, but she was definitely best known for her awesome geometric weavings. She eventually decided to attend art school, even though the challenges for art students were often great and the living conditions harsh. Such a lifestyle sharply contrasted the affluent and comfortable living she had been used to. 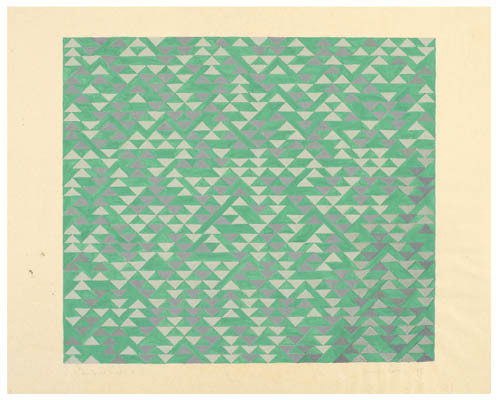 Albers attended the Kunstgewerbeschule in Hamburg then eventually made her way to the Bauhaus at Weimar in April 1922. At the Bauhaus she began her first year under Georg Muche and then Johannes Itten. 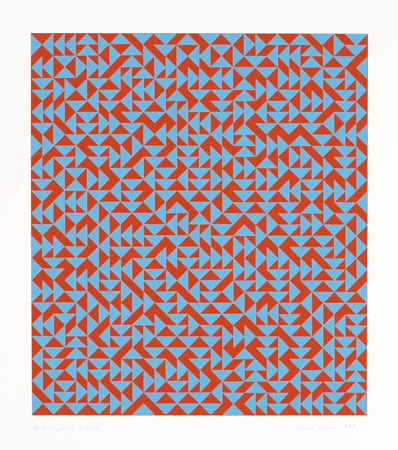 Women were banned from certain disciplines taught at the school, especially architecture, and during her second year, unable to get into a glass workshop with future husband Josef Albers, Anni Albers deferred reluctantly to the only department open to her – textiles. 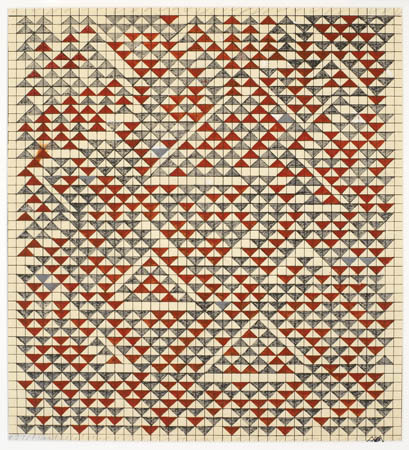 It wasn’t long before Albers learned to love weaving’s tactile construction challenges thanks to her instructor Gunta Stölzl and she went on to become one of the century’s most influential textiles artists. 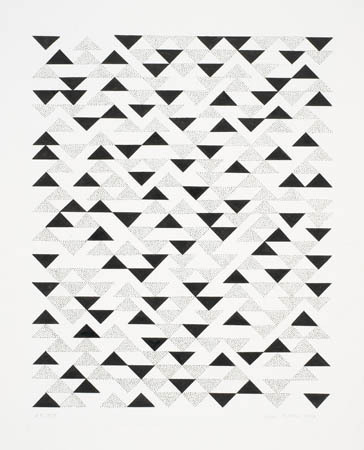 Anni Albers only passed away about 20 years ago, in 1994. Leaving behind an amazing body of work. Her husband is also one of my favorite artists but we’ll talk about Josef another time! 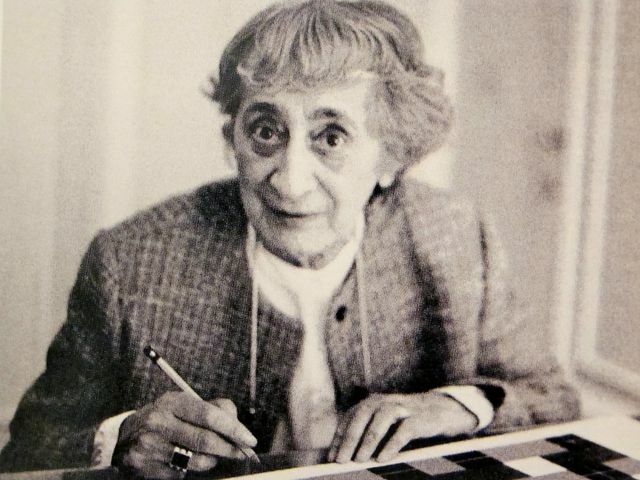 Together in 1971 they established the Josef and Anni Albers Foundation— a not-for-profit organization to further “the revelation and evocation of vision through art.” Devoted to preserving and promoting the enduring achievements of both Josef and Anni Albers, and the aesthetic and philosophical principles by which they lived. It serves as a unique center for the understanding and appreciation of the arts and of all visual experience. 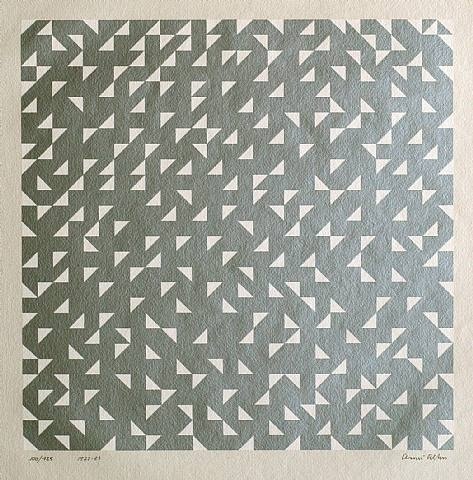 Second Movement IV, 1972, Etching/Aquatint. The Foundation carries out its mission by working on exhibitions and publications, assisting with research; and supporting education. It conserves the Alberses’ art and archives, and serves as an information resource for artists, scholars, students, and the general public. The Albers Foundation is located on beautiful woodland acreage in Bethany, Connecticut. The Bethany campus includes a central research and archival storage center to accommodate the Foundation’s art collections, library and archives, and offices, as well as residence studios for visiting artists. The rural property provides a venue for educational outreach programs. Unfortunately artists residencies are offered by invitation only. 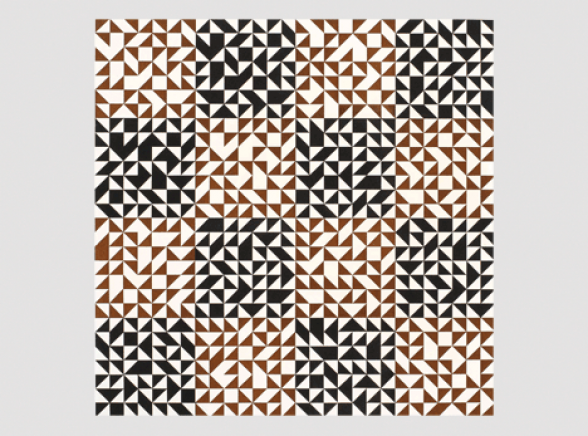 All images from the Albers foundations website.